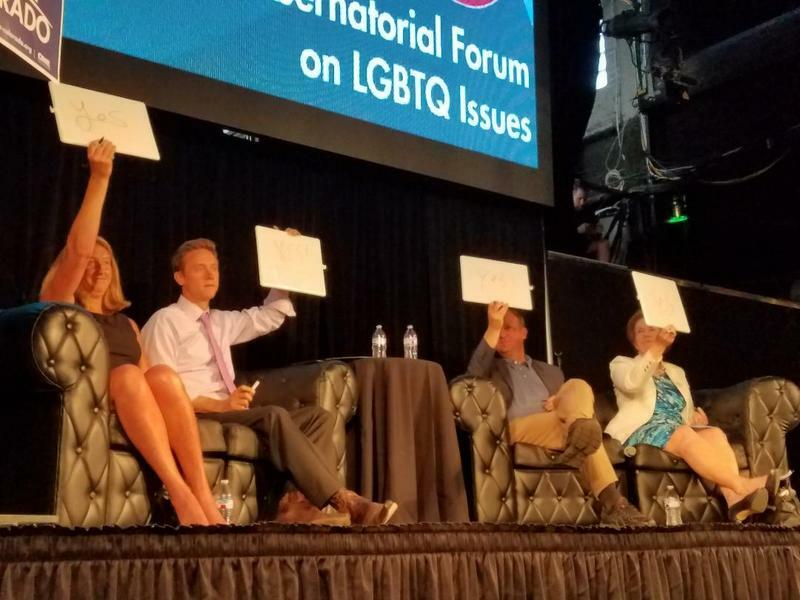 All Democratic candidates for Colorado’s next governor gave their distinct qualifications for why they should be the representative of the LGBTQ community. 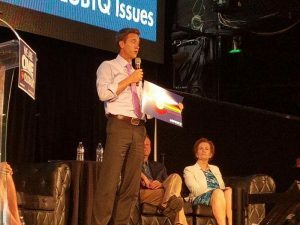 All four Democratic candidates appeared at the EXDO Event Center in Denver on Thursday to a forum hosted by One Colorado, an advocacy organization for LGBTQ Coloradans and their families. 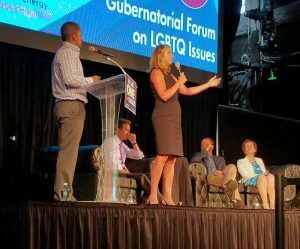 Republican candidates were invited, but had committed to a Republican forum hosted by a local news network happening at the same time. Polis currently represents Colorado’s 2nd Congressional District in the US House of Representatives. 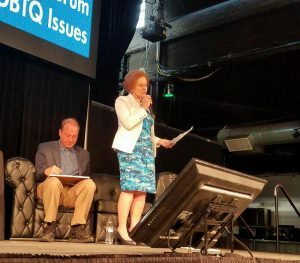 Colorado’s current Lieutenant Governor and Chief Operating Officer Donna Lynne said that she originates from a working class background and that she has always experienced striving for equality having raised bi-racial children. Lynne identified as being an “underdog” and added that her passions lie with having strong wages, access to healthcare, and affordable housing. 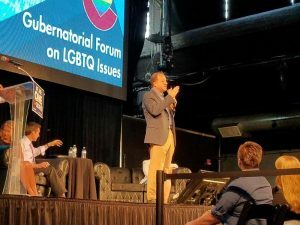 A question about personal experiences with LGBTQ Coloradans and their families brought stories about family and acquaintances, and in Polis’ case, about his own coming out as being gay which he says he kept to himself through high school. As a high school teacher, Johnston shared memories of listening to students struggle with approaching parents about their sexual or gender identities. Kennedy said that she was raised with old norms of a man and a woman forming a marriage which made her more grateful that her children have been raised instead with the norm that people are free to love and marry whomever they choose. Lynne remembered her best friend growing up who took 15 years to share her sexual orientation to her and added that she would work for progressive healthcare for the gay community especially.